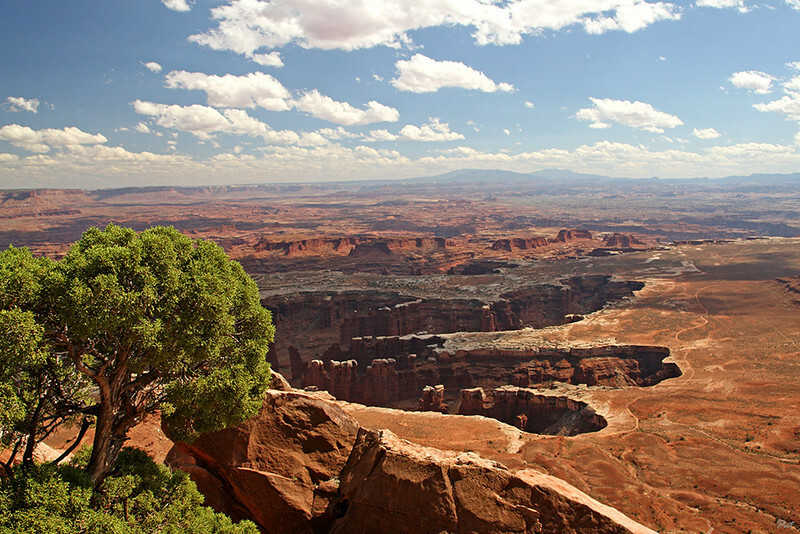 Looking into Monument Basin from Island in the Sky at Canyonlands National Park. White Rim Road is seen winding along the rim. Way off on the horizon are the Abajo Mountains.